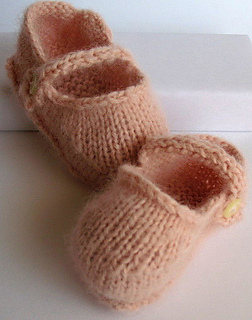 This pattern is available from shop.fickleknitter.com for $8.00. 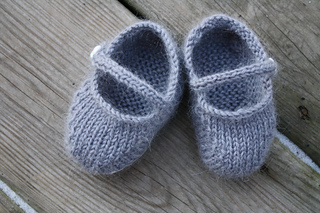 Want to knit something luxurious for those precious little toes? 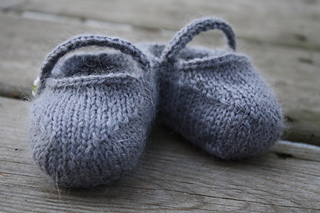 Learn how to knit the Reversible Baby Janes using only one skein of Rowan Kid Classic now. 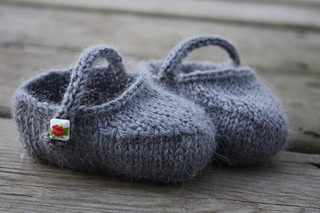 The Reversible Baby Janes Booties pattern is knit in the round, no seaming necessary, perfect for the little ballerina in your life! 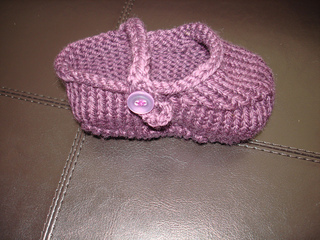 Booties available in Newborn, 6 month and 12 month sizes. Pattern is completely reversible. 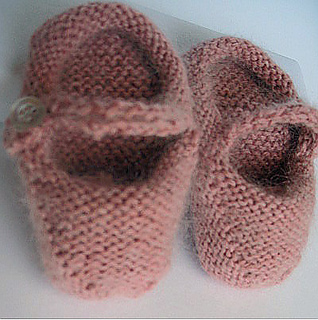 Description Reversible Seamless Mary Jane Booties Knit in the Round. Yarn 1 ball Baby Alpaca Brush Solid or 1 ball Rowan Kid Classic. Any worsted weight yarn that matches gauge is suitable. Needles Size US 5 DPNs or Size needle needed to get gauge.